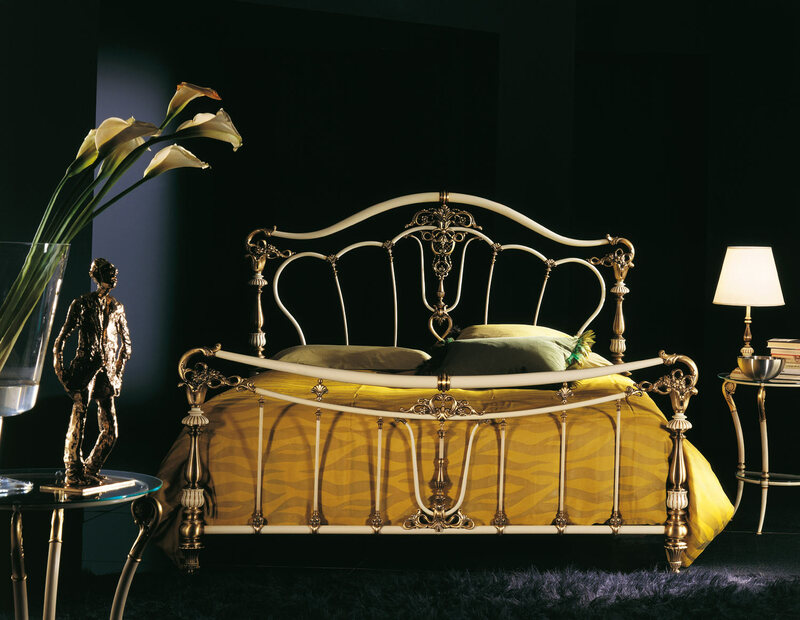 Attention to detail, handmade workmanship and traditional craftsmanship are the hallmarks of Valente's brass and wrought-iron beds since its founding in 1981. 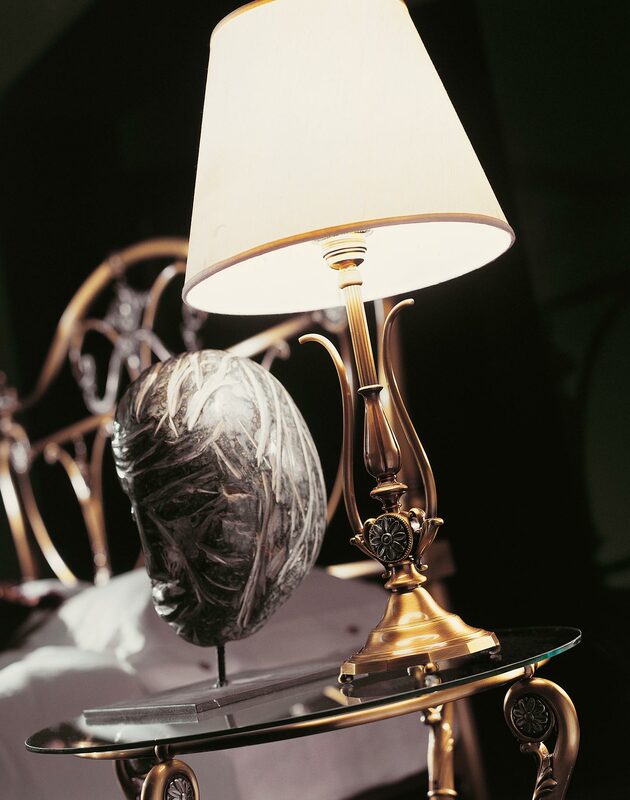 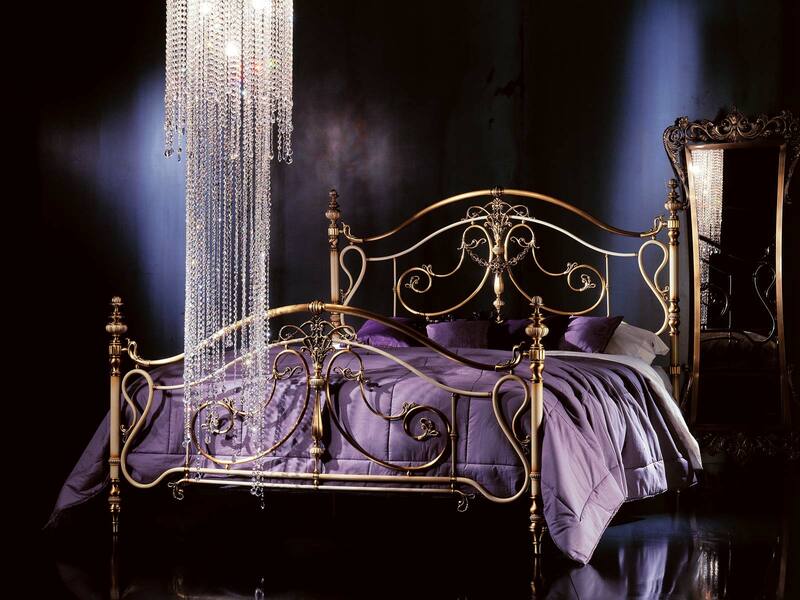 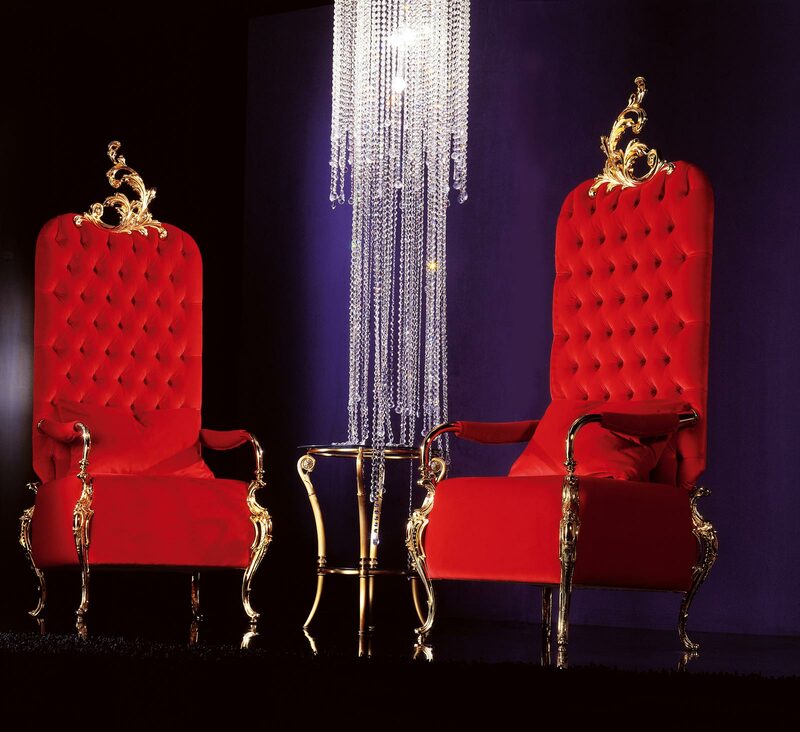 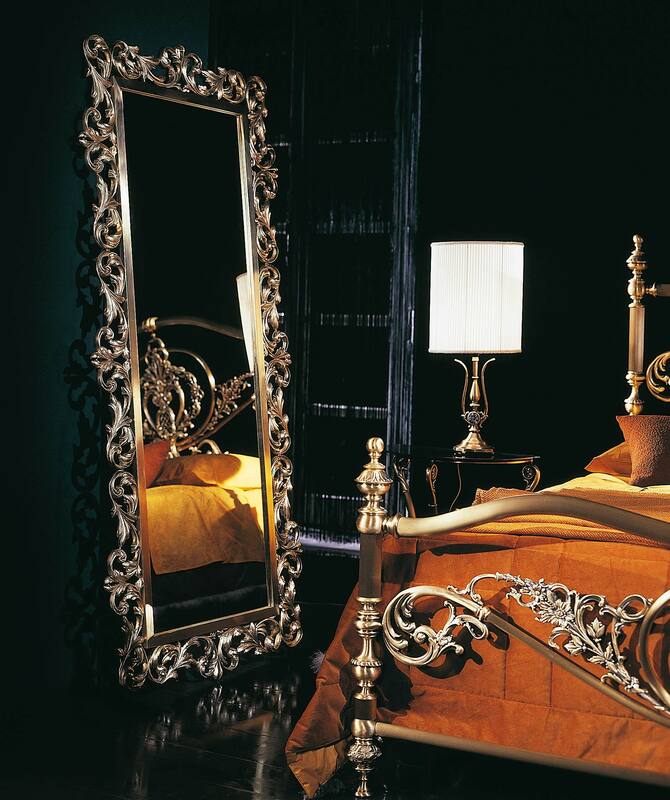 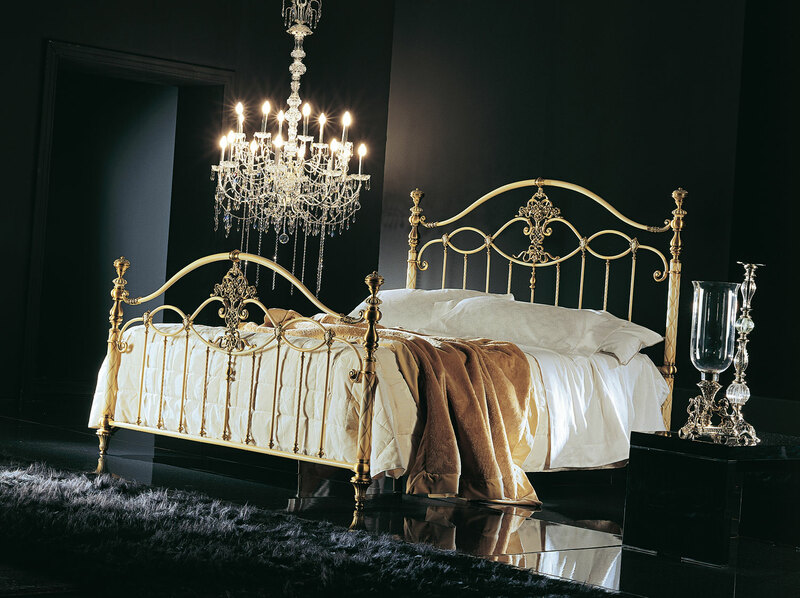 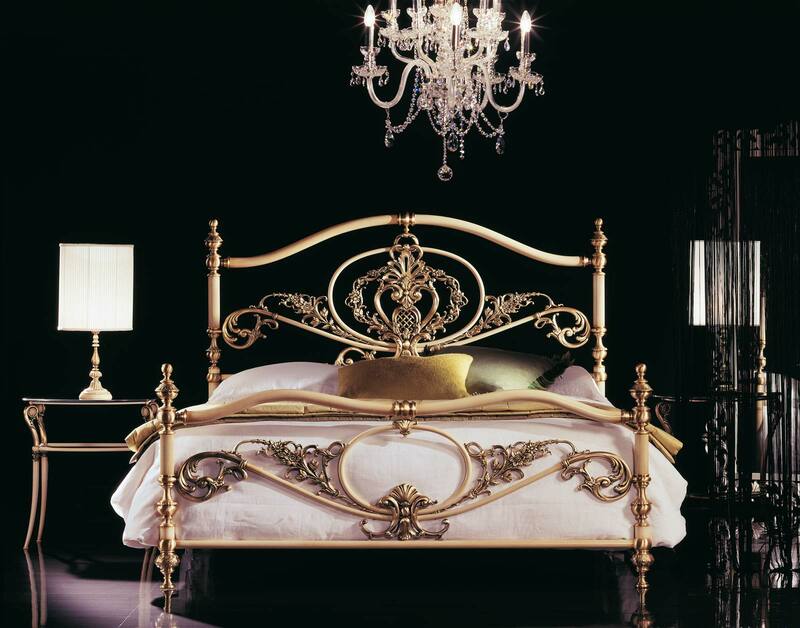 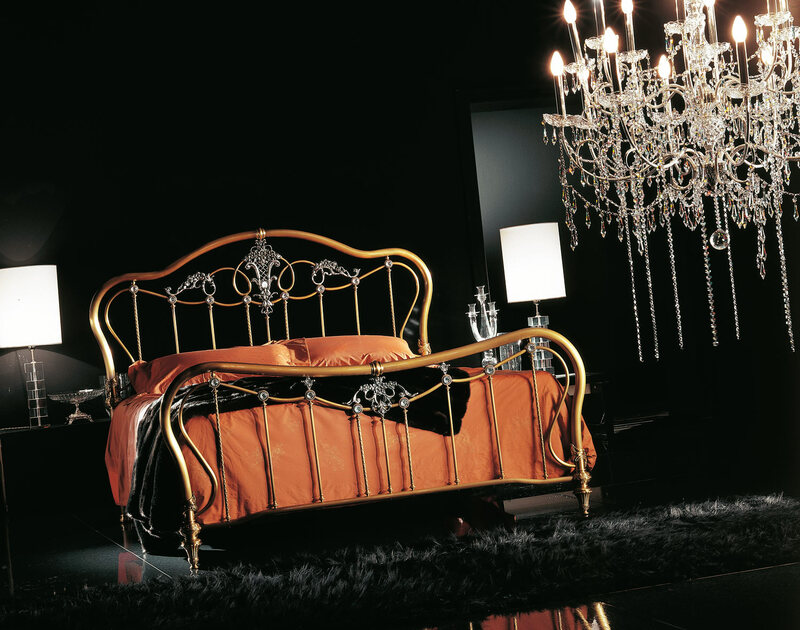 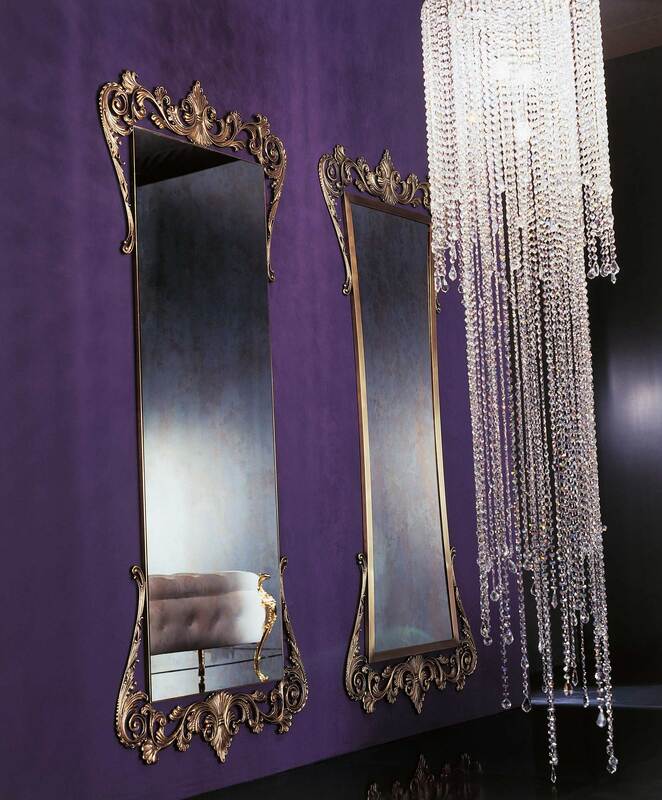 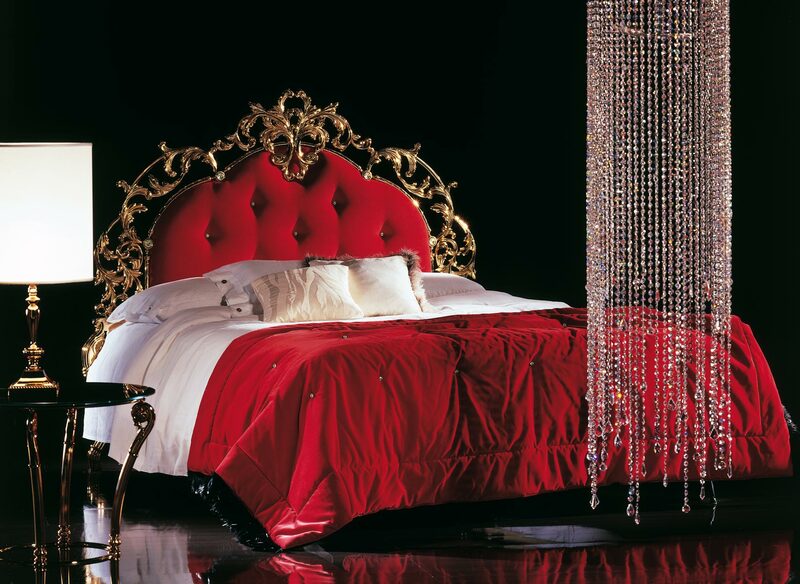 Specializing in brass and wrought-iron beds, as well as bedroom furnishings, Valente blends experience and craftsmanship to provide its customership with unique, refined, and deluxe beds. 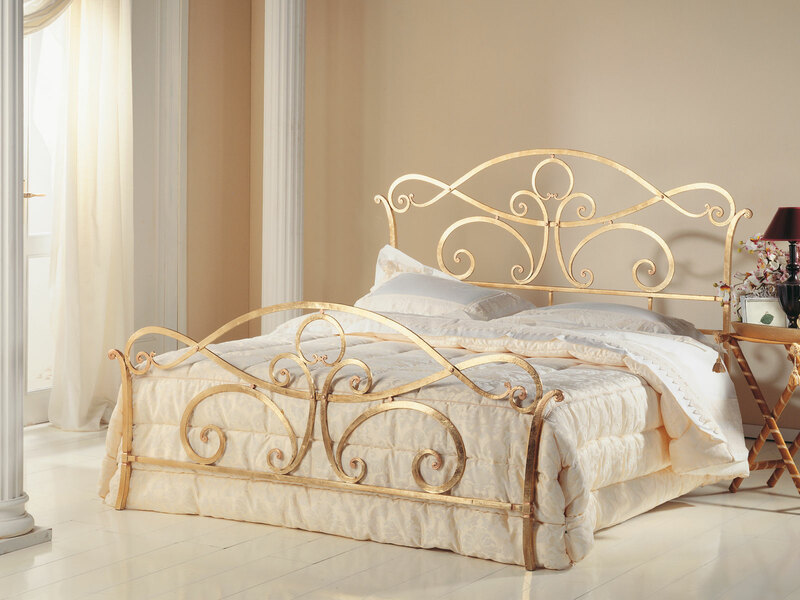 The manufacturing stages of the brass and wrought-iron beds, carried out by hand by skilled craftsmen, are done with great care and attention to every detail, from the bed prototype down to the end product packaging. 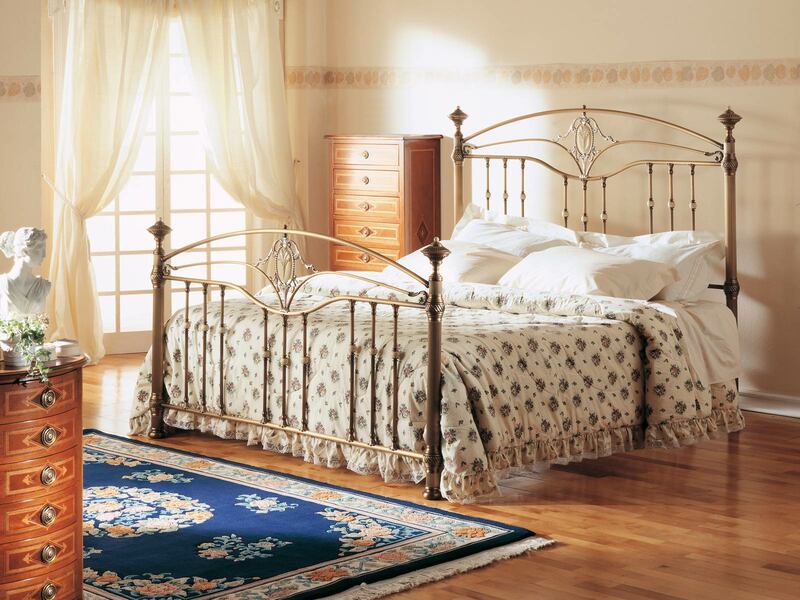 This ensures that the brass and wrought-iron beds are high-quality and perfect in every respect. 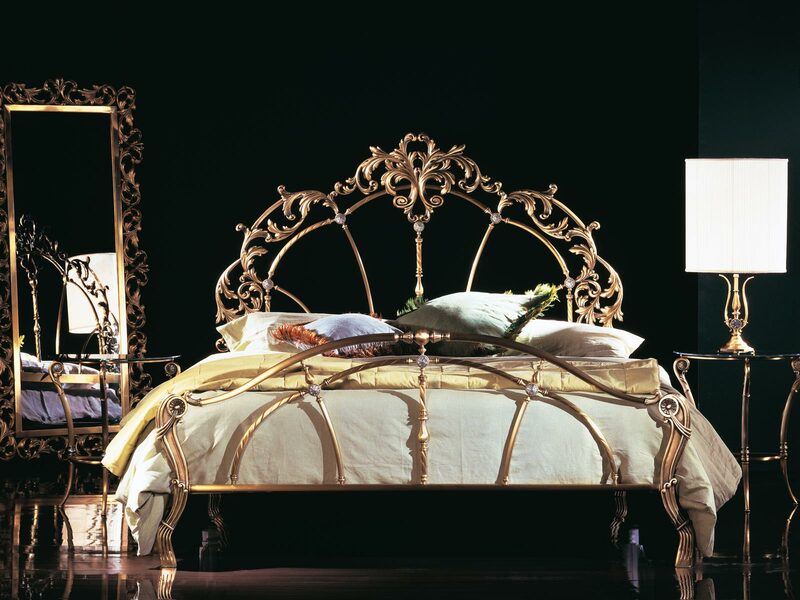 Thanks to its longstanding tradition in brass and wrought-iron bed manufacturing, Valente makes handcrafted deluxe bedding with coordinated furnishings: tables, lamps, chandeliers, mirrors, bookcases and handrails, all created especially for the most elegant and refined ambiences. 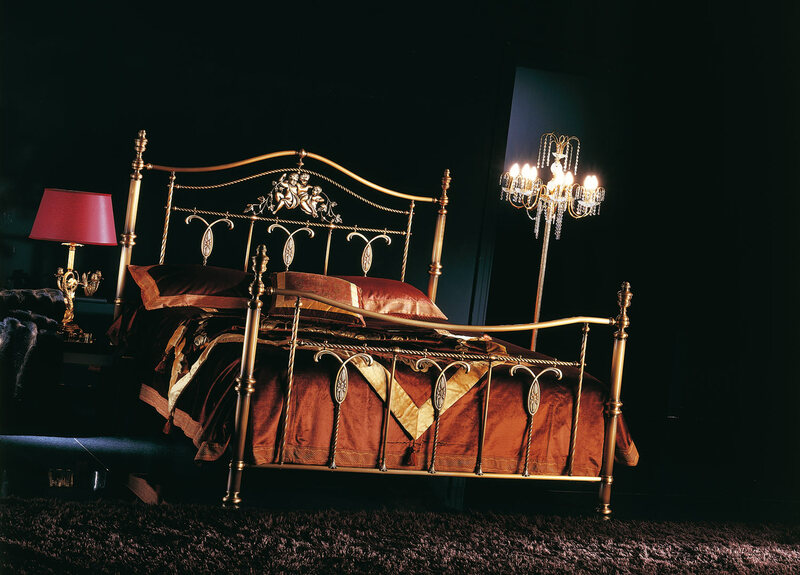 The manufacturing stages of the brass and wrought-iron beds, carried out by hand by skilled craftsmen, are done with great care and attention to every detail, from the bed prototype down to the end product packaging. 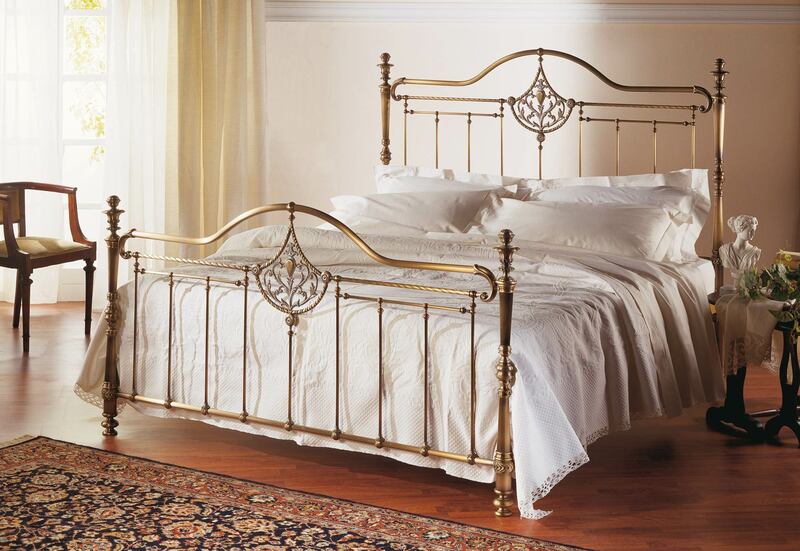 This ensures that the brass and wrought-iron beds are high-quality and perfect in every respect. 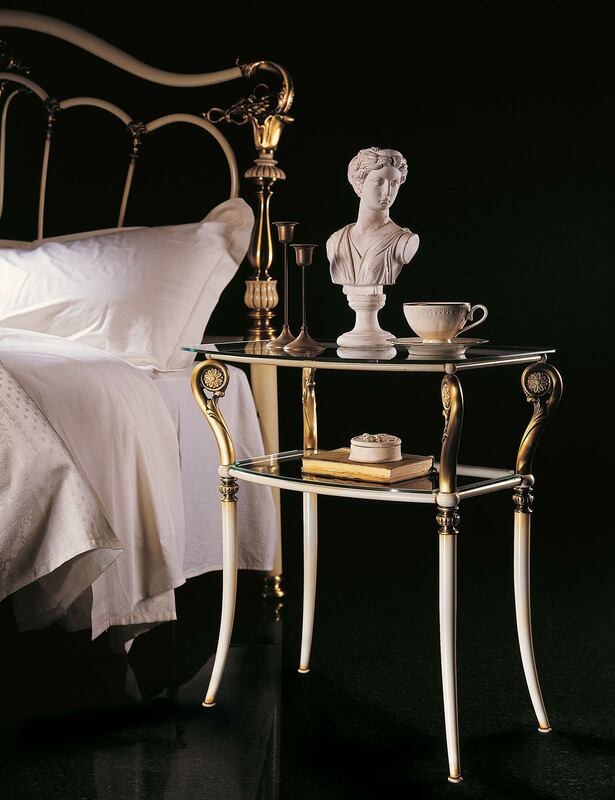 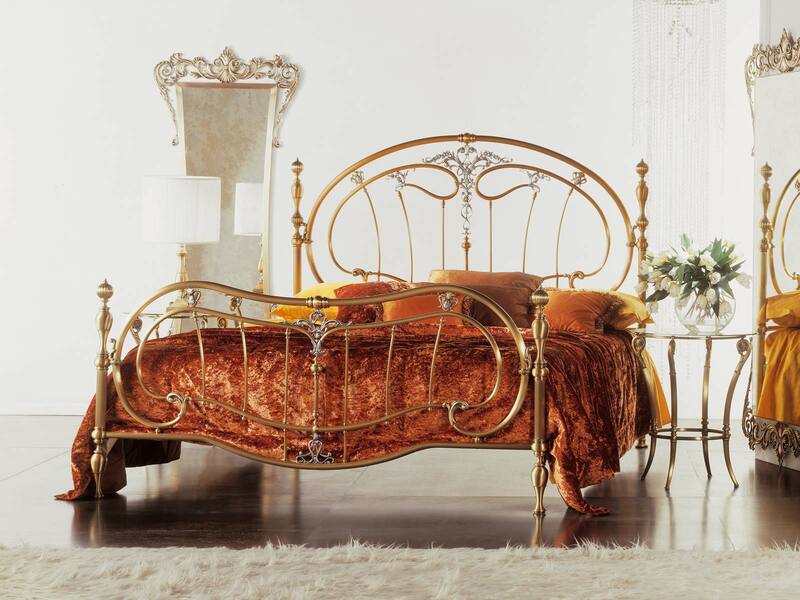 Every brass or wrought-iron bed by Valente is polished and bronzed individually before being dipped into a silver and gold bath, while the three coating treatments ensure every item's long life. 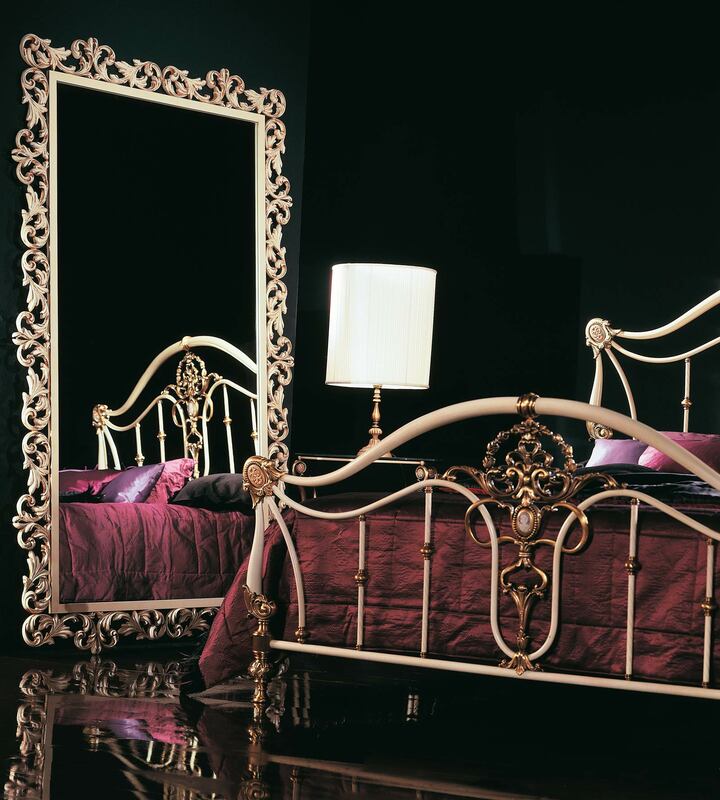 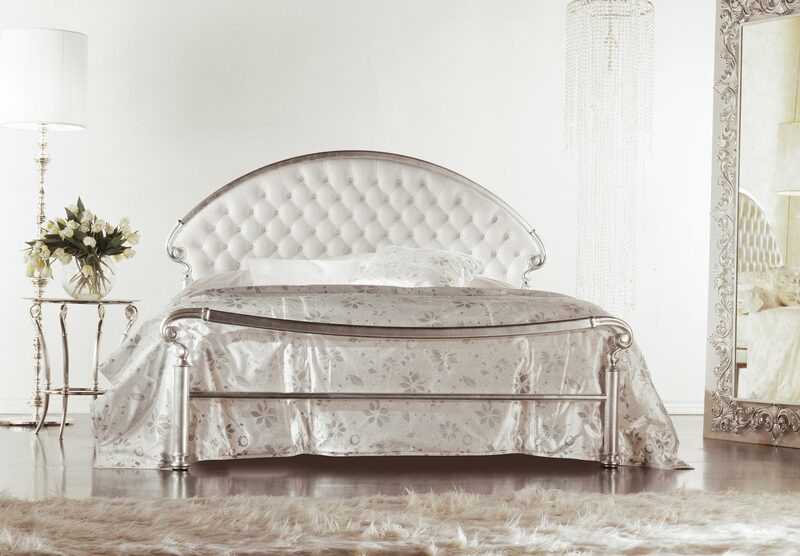 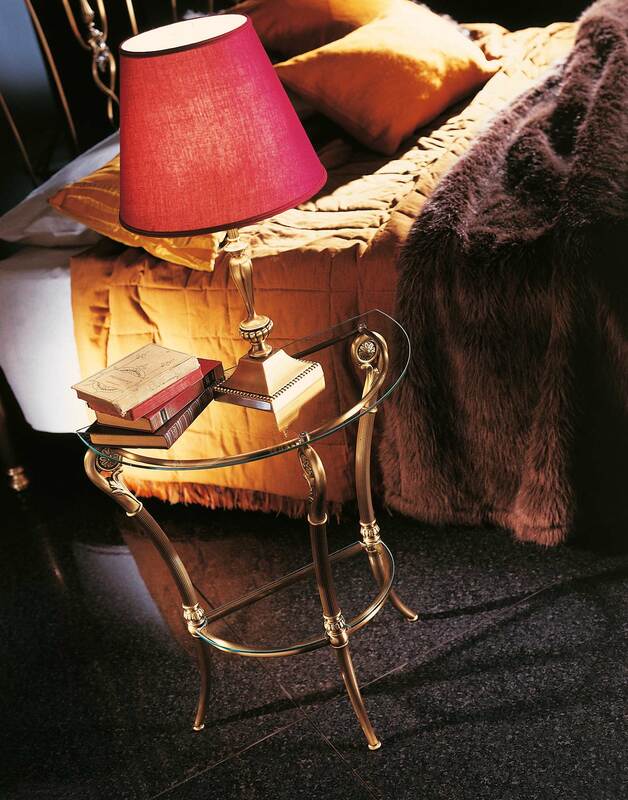 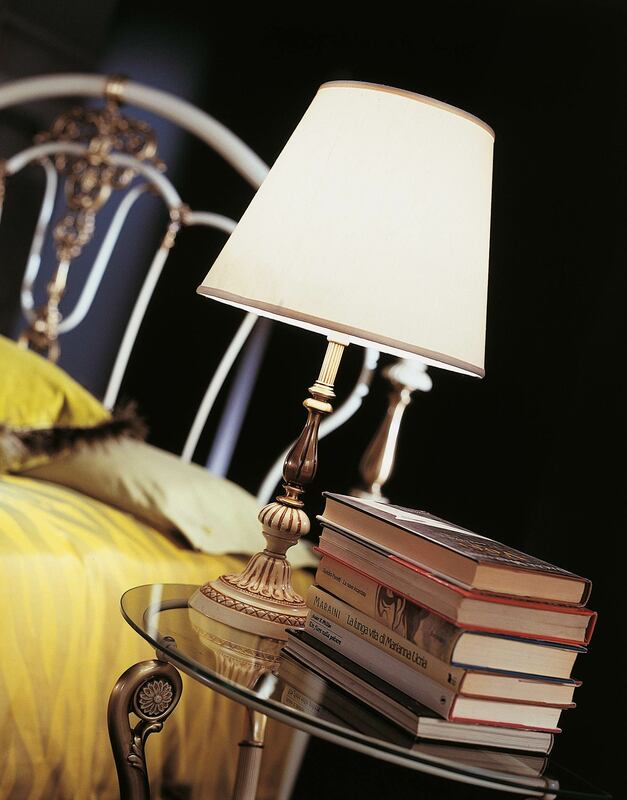 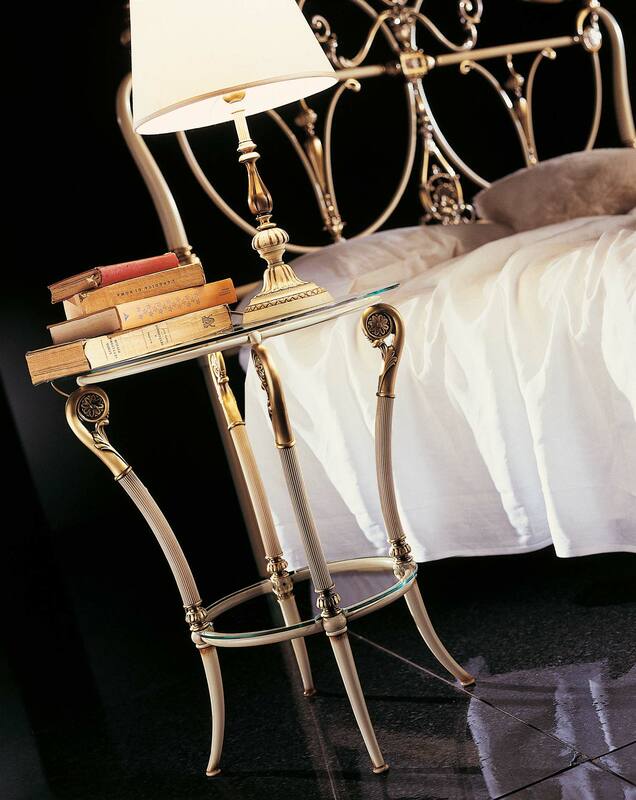 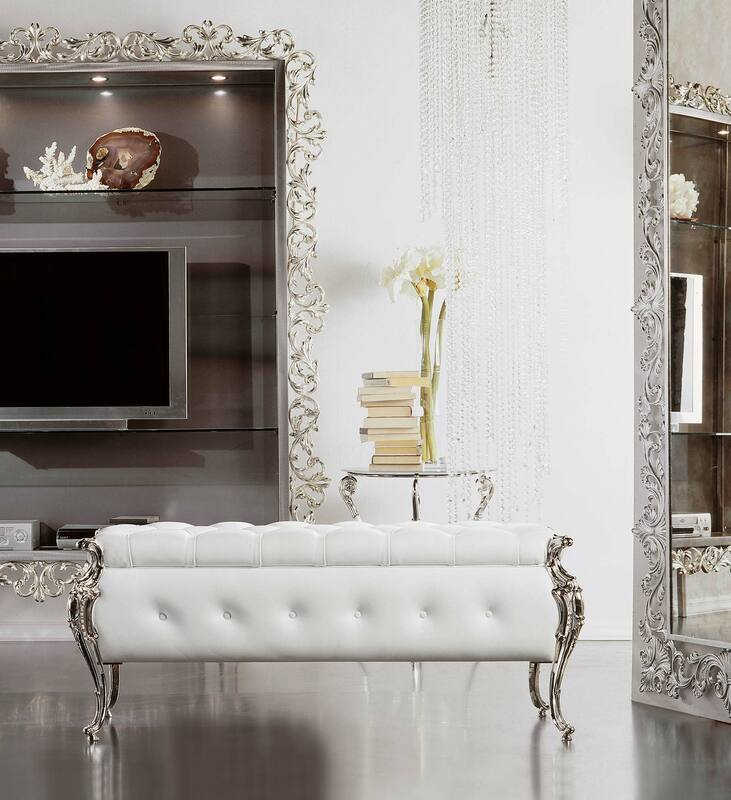 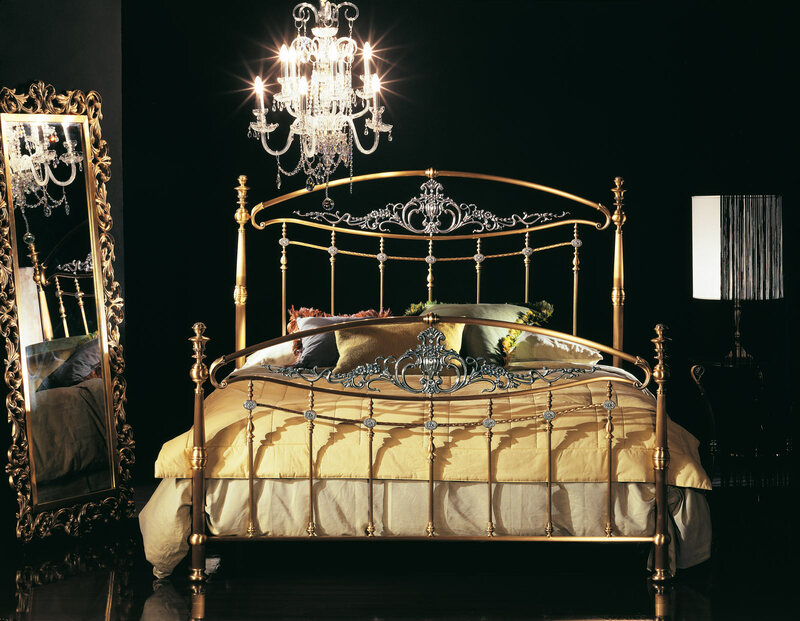 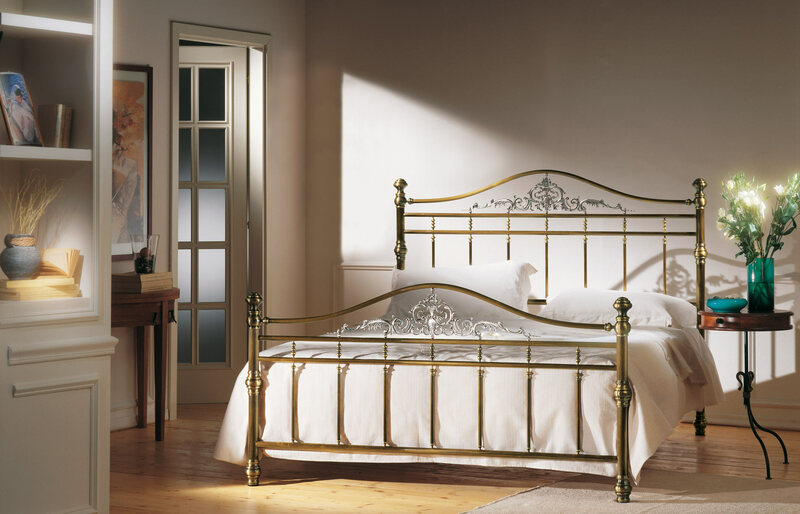 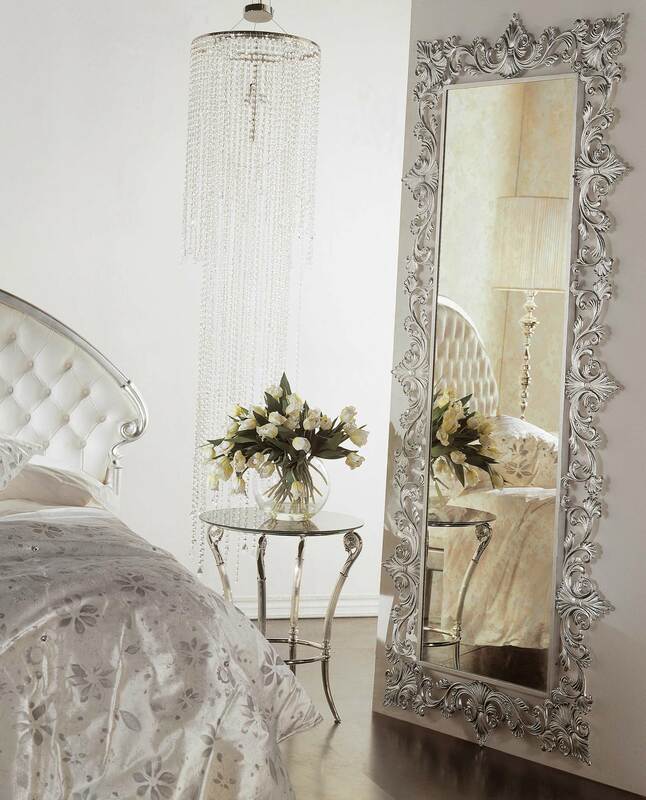 The brass and wrought-iron beds by Valente are sold all over the world and especially in the UAE, Russia and Ukraine, where it is also represented by on-site agents. 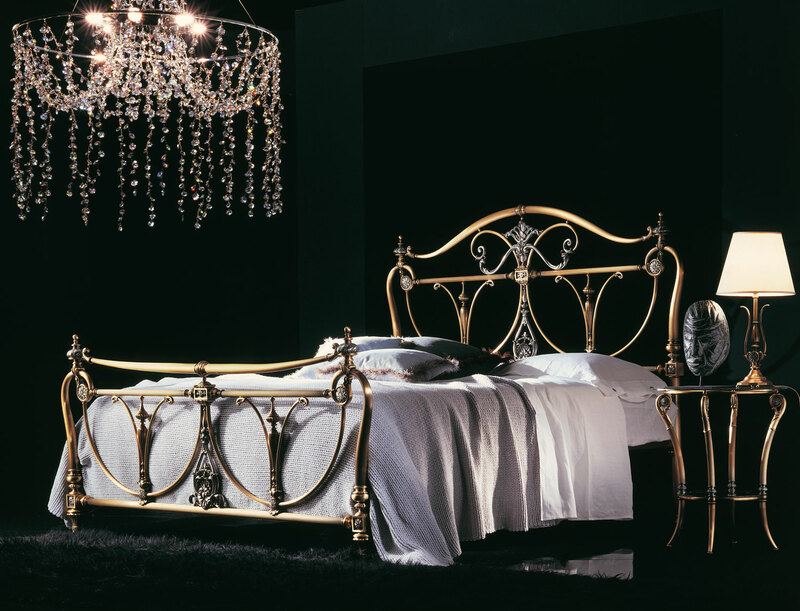 A prague showroom will soon open, thus bringing Valente's brass and wrought-iron beds even closer to its Central European customers. 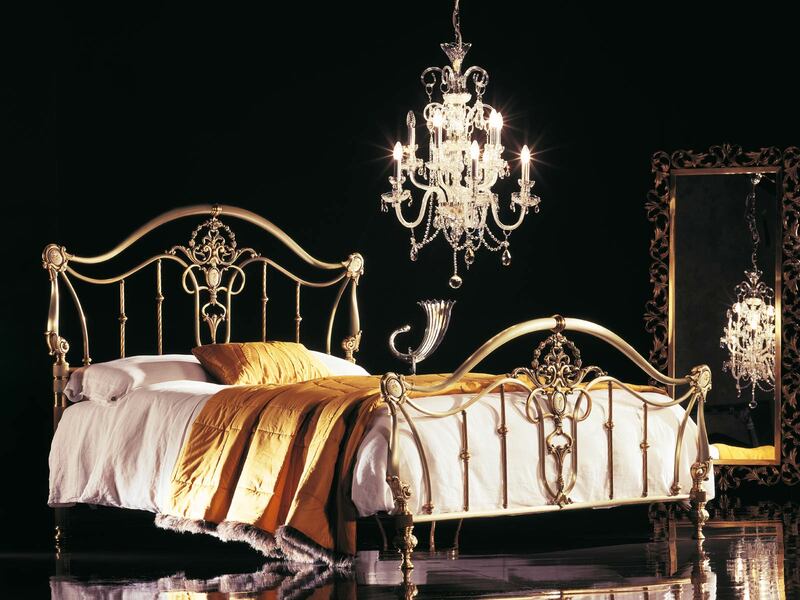 Present on the international market thanks to its participation in major international tradefairs, such as Milan's Salone del Mobile and Moscow's Crocus, Valente has built a solid reputation for working with customers all over the world. 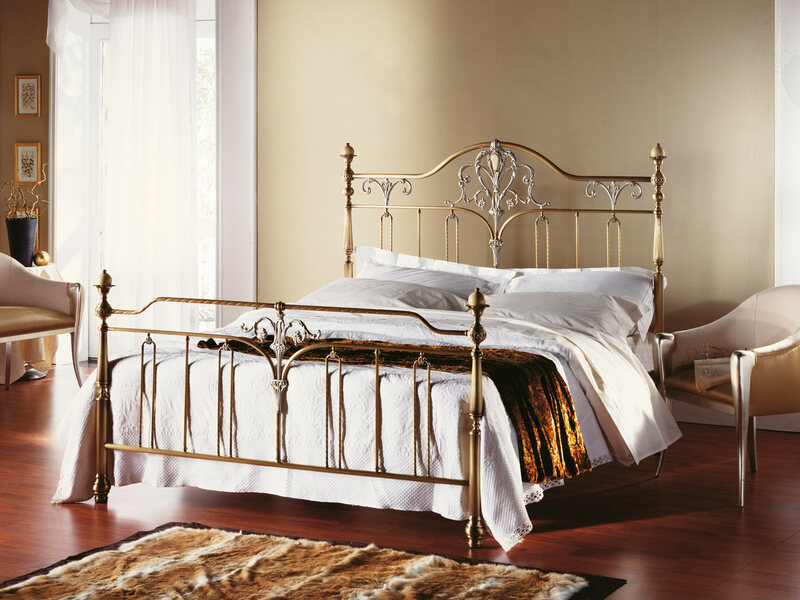 Valente also boasts a rich catalog dedicated to each production range of brass and wrought-iron beds, as well as fabric samples that can be sent on demand. 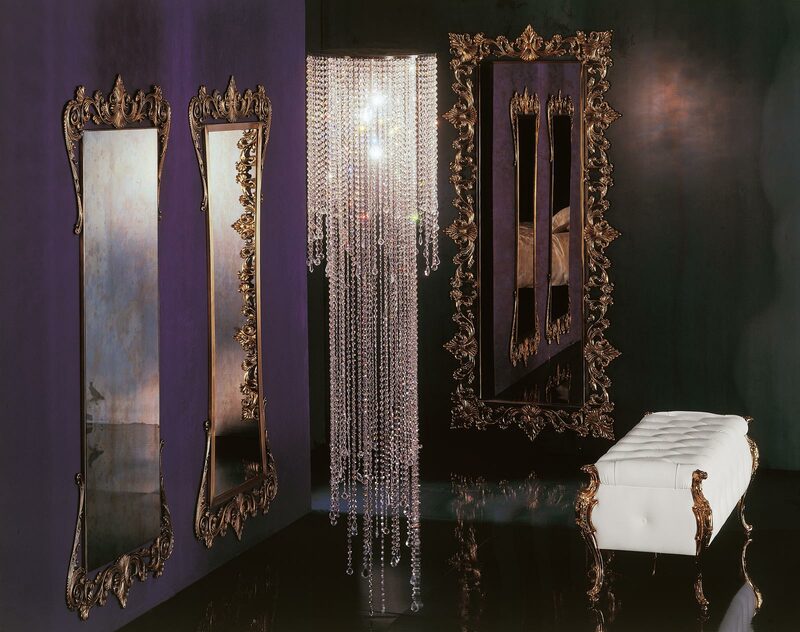 The treatment of the data is guaranteed in compliance with the legislative decree n. 196 dated 30th June 2003, in order to answer to the enquiries and/or in order to send commercial information and advertising leaflets that deal with us and our partners too. 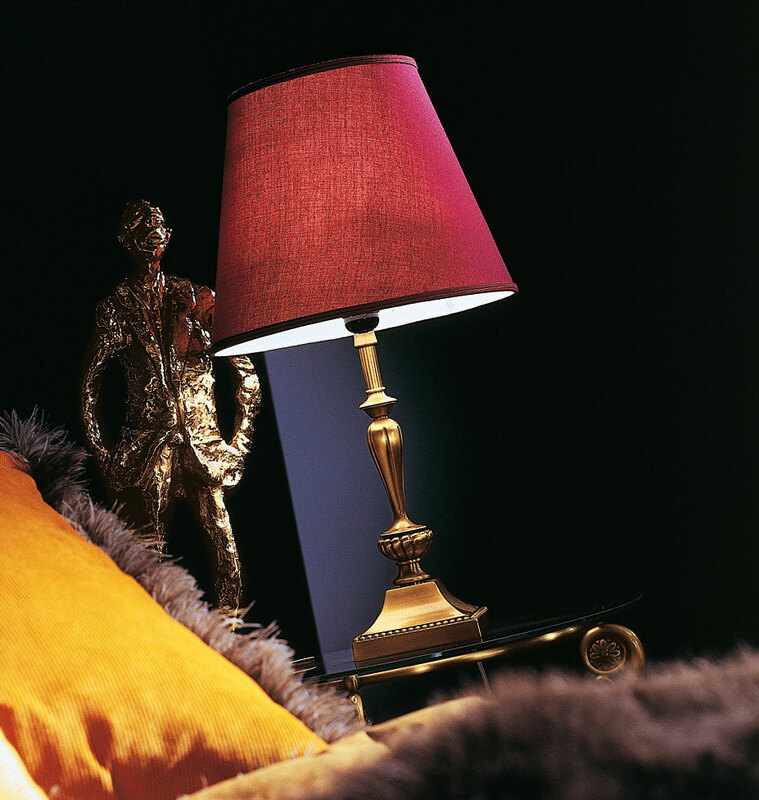 You can ask us anytime to ratify or to cancel the data by sending us a message via fax or via e-mail. 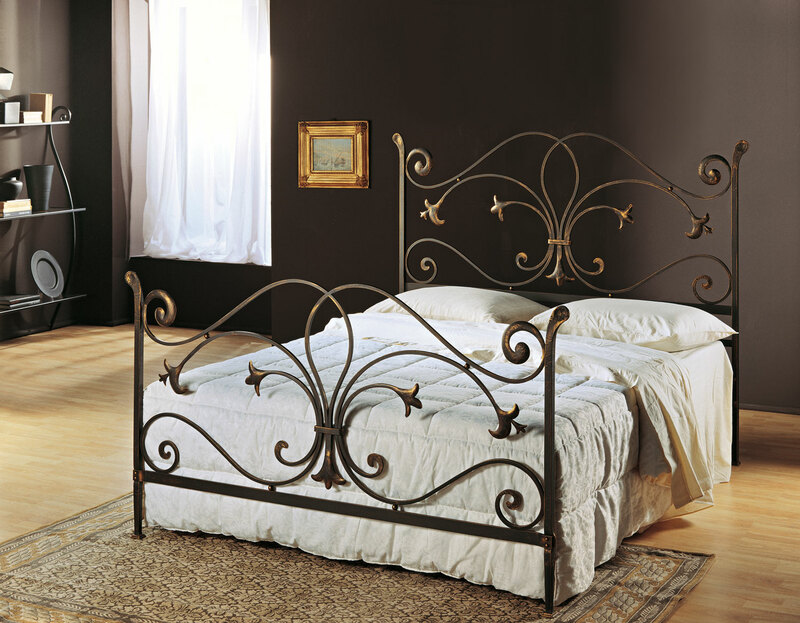 Valente has been making brass and wrought-iron beds, and bedroom furniture since 1981, blending craftsmanship and attention to every detail, the tradition-rich "Made in Italy" know-how, and expert workmanship by experienced professionals.